We’re confident that after we’re done building your sun room, it will shortly become your favorite room in your Winter Park, FL home. Imagine sitting in a comfortable, cool area while enjoying the sun shining in on you and the landscaping outside in your yard. If you’d like to turn this vision into a reality, let us at Eden Construction build a new sun room on your property in Winter Park, Florida. We’re confident that after we’re done building your sun room, it will quickly become your favorite room in your home. The fact that sun rooms can be used for a variety of different purposes is just one reason why you should consider adding a sun room to your home. We strongly encourage you to enhance your property with one of these additions because a sun room can improve your home’s resale value and help you get even more out of your outdoor living space. When you decide to enhance your property with a sun room, you want the job done right the first time. At Eden Construction, we realize this and are dedicated to quality workmanship. After we’re done building your sun room, you can rest assured that this addition will be structurally sound for many years to come. One of the most important features of any sun room are the windows. In order to ensure your satisfaction with this room, the windows we use when we construct sunrooms are heavy-duty, A.A.M.A. rated and are extremely energy efficient. We also use heavy-duty aluminum framework while building sun rooms and other industry-leading materials. If you aren’t sure that you’re ready to take the leap and equip your home with a sun room, we would be more than happy to show you some of the sun rooms that we’ve built in the past. In our portfolio, you’ll find sun rooms of all different sizes and styles. We hope that looking through our exceptional portfolio will inspire you to let us build the sun room you’ve always wanted on your Winter Park, Florida property. If you want to take advantage of the sun’s rays on a daily basis from the comfort of your own home, make the decision to enhance your property with a sun room. To get the process started or to find out more about why you should let our team handle the construction process, give us a call at Eden Construction today. 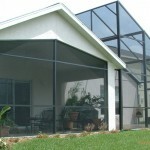 We look forward to hearing from you and helping you with the entire sun room construction process from start to finish.